Three books from the fine folks at Fantasy Flight Games which kick off their tie-in program for books based on their popular games, this program has the makings of possible success as I mentioned in my post at the end of May after visiting their exhibit booth at BEA. Also, some stuff from TOR and Del Rey. The Watchtower by Lee Carroll (Tor Trade Paperback 08/02/2011) – Sequel to the Carroll’s (who is a pseudonym for the husband and wife author team of Carol Goodman and Lee Slonimisky) Black Swan Rising. What secrets are hidden in her past . . . ? Jewelry designer Garet James is still coming to terms with the astounding revelation in BLACK SWAN RISING that she is the last in a long line of women sworn to protect the world from evil. Now she has received a sign from Will Hughes, the 400-year-old vampire who once helped her defeat the evil threatening to destroy New York City. Hughes, tortured by his own violent history which is vividly reenacted here, has asked her to join him on a quest to rid himself of his curse of vampirism. While looking for Will in Paris, Garet encounters a number of mysterious figures-an ancient botanist metamorphosed into the oldest tree in Paris, a gnome who lives under the Labyrinth at the Jardin des Plantes, a librarian at the Institut Oceanographique, and a dryad in the Luxembourg Gardens. Each encounter leads Garet closer to finding Will Hughes, but she realizes that she’s not the only one who’s trying to find the way to the magical world called the Summer Country. As Garet struggles to understand her family legacy, each answer she finds only leads to more questions—and to more danger. Resistance: A Hole in the Sky by William C. Dietz (Del Rey Paperback 08/02/2011) – Dietz pens another tie-in for the latest installment of the popular SF video game franchise, which is in its third incarnation. In this official prequel to Resistance 3, prospects are not looking up for planet Earth or Lieutenant Joseph Capelli. With the Chimera invasion in full swing, America has crumbled under the fierce alien juggernaut, its defenses overrun, millions dead, the rest left to fend for themselves. Many try to avoid the alien virus that turns humans into Chimeran killing machines. Capelli may be a pariah to the army for killing hero Nathan Hale, but he is still a patriot fighting to save the country and its citizens. However, some soldiers are ready to shoot him on sight—not to mention that Hale’s beautiful sister has every reason in the world to want him stone dead. But Capelli’s used to being in dangerous situations and taking crazy risks. And the next move he intends to make is pure suicide. Embers of Atlantis: (A Fireborn Novel) by Tracy Hickman (Fantasy Flight Games Mass Market Paperback 8/10/2011) – Hickman is a veteran at these tie-in novels, so Fantasy Flight was smart to enlist him on one of their launch titles. This one is something of an Urban Fantasy. Powerful scions walk the streets of modern London, oblivious to their true nature. Unknowingly, they carry within them the spirits of reincarnated dragons from an age of high fantasy. As magic begins to emerge once more in the 21st century, long-dormant memories begin to flood the minds of these scions, reminding them of their mystical heritage. Welcome to the world of Fireborn! Ethan Gallows knows things about his world. He knows there is magic, and he knows he wants nothing to do with it. Yet, when he is sent on the seemingly menial job of filming a museum curator's antique art collection in London, Ethan discovers that he has much more to learn. After witnessing a violent display of sorcery, ancient memories come rushing back to Ethan - memories seen through the eyes of a dragon! With minions of the Taint now seeking him for their own twisted purposes, Ethan must put his trust in Sojourner - a woman claiming to be a draconic scion. Could he really be a dragon of old, or is this some sort of fanatic conspiracy? Embers of Atlantis is the first novel based on the acclaimed Fireborn roleplaying game setting. Written by New York Times bestselling author Tracy Hickman (Dragonlance), Embers of Atlantis introduces readers to a modern world faced with the sudden emergence of magic. Free Fall (An Android novel) by William H. Kieth (Fantasy Flight GamesMass Market Paperback 8/10/2011) – Here’s the Science Fictional offering from Fantasy Flight Games, again another veteran of tie-in novels. It is the future, and while the world has changed, crime has not. When an influential lawyer is brutally murdered at the top of the Beanstalk, a towering exo-atmospheric elevator serving as Earth's hub of interplanetary trade, Detective Rick Harrison reluctantly accepts the case. Harrison's investigation soon leads him from the sprawling megapolis of New Angeles to the distant moon base of Heinlein, where he searches for clues amongst an uncooperative assortment of bioroids, clones, and disgruntled human laborers. But Harrison quickly finds himself at the center of an ever-deepening conspiracy, and is faced with the one question he never expected: What is the true definition of humanity? Free Fall is the first novel based on Fantasy Flight Games's Android, conveying a dystopian world of technology and corruption. This rich universe is masterfully brought to life by New York Times Bestselling author William H. Keith, winner of the H.G. Wells Award and multiple Origins awards, and the celebrated author of over 150 novels, short stories, and other published works..
Green is back in Copper Downs. Purchased from her father in sunny Selistan when she was four years old, she was harshly raised to be a courtesan, companion, and bedmate of the Immortal Duke of Copper Downs. But Green rebelled. Green killed the Duke, and many others, and won her freedom. Yet she is still claimed by the gods and goddesses of her world, and they still require her service. Their demands are greater than any duke’s could have been. Godslayers have come to the Stone Coast, magicians whose cult is dedicated to destroying the many gods of Green’s world. In the turmoil following the Immortal Duke’s murder, Green made a God out of her power and her memories. Now the gods turn to her to protect them from the Slayers. Jay Lake brings us an epic fantasy not "in the tradition of Tolkien," but, instead, sensual, ominous, shot through with the sweat of fear and the intoxication of power. The Goblin Corps by Ari Marmell (PyrTrade Paperback 07/26/2011) – I enjoyed Marmel’s The Conqueror’s Shadow and have been looking forward to this one since I heard about it a while back. Morthûl, the dreaded Charnel King, has failed. Centuries of plotting from the heart of the Iron Keep, deep within the dark lands of Kirol Syrreth—all for naught. Foiled at the last by the bumbling efforts of a laughable band of so-called heroes, brainless and over-muscled cretins without sense enough to recognize a hopeless cause when they take it on. Machinations developed over generations, schemes intended to deliver the world into the Dark Lord’s hands, now devastated beyond salvation. But the so-called forces of Light have paid for their meddling with the life of Princess Amalia, only child of the royal family of Shauntille. Now, as winter solidifies its icy grip on the passes of the Brimstone Mountains, disturbing news has reached the court of Morthûl. King Dororam, enraged by the murder of his only child—and accompanied by that same group of delusional upstart “heroes” —is assembling all the Allied Kingdoms, fielding an army unlike any seen before. The armies of Kirol Syrreth muster to meet the attack that is sure to come as soon as the snows have melted from the mountain paths, but their numbers are sorely depleted. Still, after uncounted centuries of survival, the Dark Lord isn’t about to go down without a fight, particularly in battle against a mortal! No, the Charnel King still has a few tricks up his putrid and tattered sleeves, and the only thing that can defeat him now may just be the inhuman soldiers on whom he’s pinned his last hopes. Welcome to the Goblin Corps. May the best man lose. Ghouls of the Miskatonic (The Dark Waters Trilogy Book 1) by Graham McNeill (Fantasy Flight Games Mass Market Paperback 08/10/2011)– …and the third major series from Fantasy Flight kicks off with one of the hottest tie-in writers of the day, Graham McNeill. This one is set in the Lovecraftian Arkham Horror world. This book puts my tally of McNeill books on the to-read pile to at least a half-dozen.
. It is the roaring twenties - a time of jazz, gin, and g-men. But a shocking murder has upset the tranquility of Arkham, Massachusetts. When the mutilated body of a student is found on the grounds of Miskatonic University, the baffled authorities struggle to determine who - or what - is responsible. When two more students go missing, is it the work of the same killer, or something much darker? 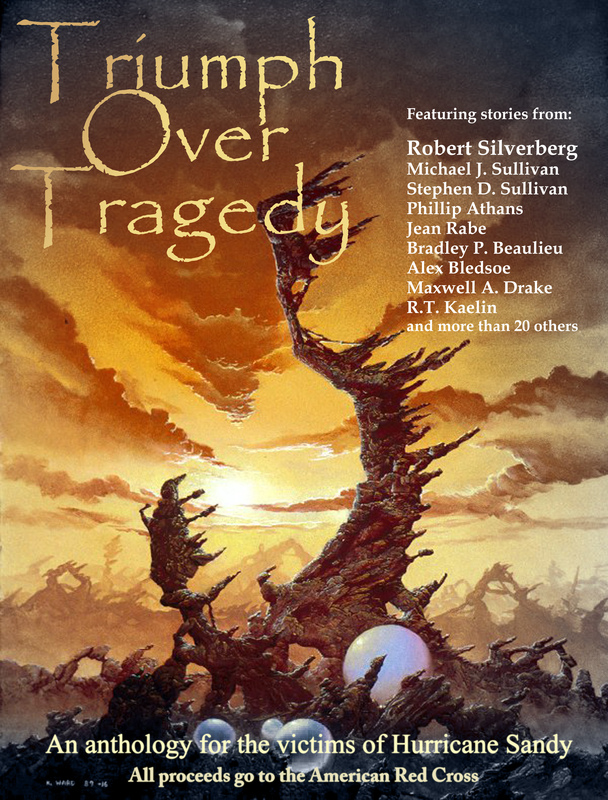 While a Miskatonic professor seeks answers in the ramblings of an insane former colleague, nightmares of a terrifying sunken city plague his most gifted student. Meanwhile, a down-on-his-luck reporter trawls the dark underbelly of the town for clues, while a bootlegger escapes a deal gone horribly wrong in possession of a strange, otherworldly device. Now, these unlikely investigators must come together to face horrors beyond comprehension, as they seek answers to a mystery that threatens to destroy all they hold dear! Ghouls of the Miskatonic is the first novel in The Dark Waters Trilogy by New York Times bestselling author Graham McNeill. 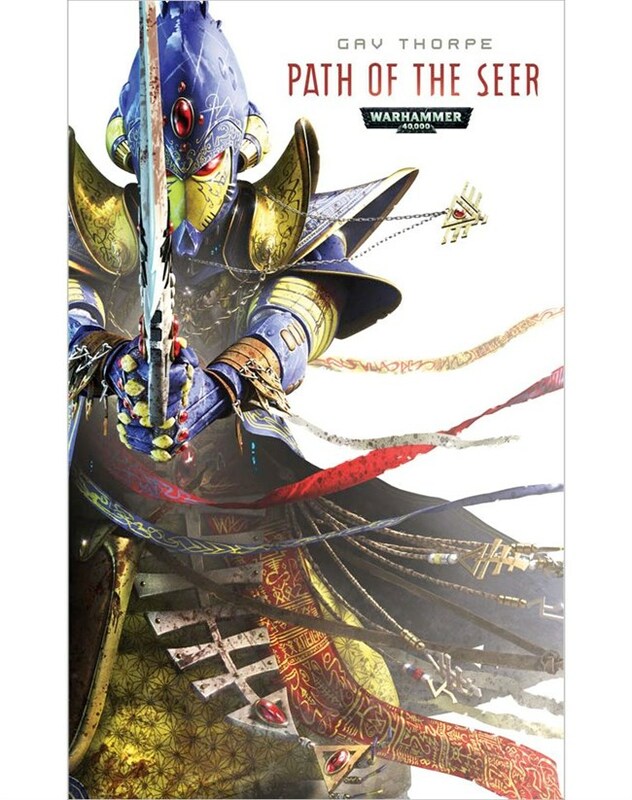 Path of the Seer (Eldar/Warhammer 40,000) by Gav Thorpe (Black Library Mass Market Paperback 07/07/2011) – Second in a mini-series set within the vast WH40K universe, focusing on the mysterious Eldar. The ancient eldar are a mysterious race and each devotes their life to a chosen path that will guide their actions and decide their fate. Thirianna abandons her simple existence to embark upon the mysterious Path of the Seer. She will tread a dark and dangerous road that leads her to the other realm of the warp, where daemons are made flesh and nightmares are manifest, for only there can she realise her psychic abilities. After unleashing her powers in battle and communing with the spirits of her craft world, Thirianna turns her skills to discerning the future amidst the myriad strands of fate. Her visions reveal a great threat descending on Alaitoc, and both the living and the dead will march to war to defend it. Things are clearly not well in Elizabethan England. This is a darker tale than The Sword of Albion. Plague spreads across London’s streets and the Queen has moved her court out of London for fear of catching the disease. This one starts off fast: there’s a grisly death involving big spiders in Saint Paul’s Cathedral, followed by the death of one of Will’s closest friends. Will is seen as someone clearly upset by this and also under suspicion of becoming more susceptible to atheist ways. Will is convinced his friend’s death was not in a common bar brawl but seems to be being covered up. Convinced that the murder was caused by men who wish Will no good, Will investigates why his friend was killed and by whom. And there seems to be a scheme to kill England’s spies: with Will being the best known spy in England, he’s a major target. The Unseelie Court seems to be making a move, and Will seems to be in line for assassination.. This was my first experience with Graham McNeill’s fiction and I’m both happy and saddened by that fact. Sad because I’ve missed out on what could possibly be some great fiction and happy at the prospect that I’ve got another author’s work to consume. McNeill is one of Black Library’s top writers and handing him the reigns of the second novel their marquee series is proof that their faith in him is justified. What impressed me most about the story was McNeill’s abilities at balancing philosophical/theological ideas/themes along with the expected action of a Military SF novel. The strongest element of the novel, for me, was the depiction of Horus healing in the Warp as he grows frustrated with the neglect he feels the Emperor is showing him along with the nature of the universal reality and conflict. 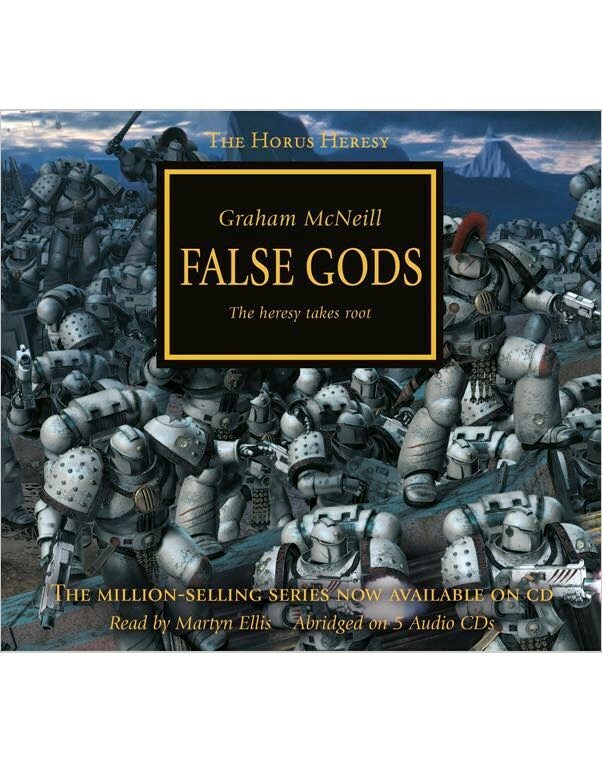 All told, I am fascinated with the over-reaching story arc unfolding in the Horus Heresy and plan on following along, either in this superb audio versions or the original printed volumes in addition to more of McNeill’s work. The Puppet Masters is Heinlein’s version of an alien invasion tale, written at a time when such tales were popular in film and in prose. This is perhaps where I see a transition between the juveniles and say, Stranger in a Strange Land: this still has the excitement and the pace of the juvies, but the addition of the posturing lecture seen in later books such as Stranger. That and the need to get naked. Sometimes ‘more’ can mean ‘less’, and I’m reminded of that, as I was when I read the longer version of Stranger in a Strange Land – I’m in two minds to decide whether this longer Puppet Masters is one of those examples. A nice mix of books from the Penguin imprints in this week’s batch of books. Omnitopia: Dawn by Diane Duane (DAW Paperback 08/02/2011) – Mass Market Paperback re-issue of the SF Near Future Thriller with a hint of fantasy from Duane, which is a bit of a departure from her recent Young Adult fantasy series and a return to the Adult SF side of things which is where Ms. Duane first hit the NY Times Bestseller list. This is the first of a series of books. I skipped it when I received the hardcover last year, but may remedy that decision with the paperback. A near-future techno-thriller from New York Times bestselling author Diane Duane. It's the first quarter of the twenty-first century, and "massively multiplayer" on-line games have been around for a couple of decades. In an increasingly wired and computer-friendly world they've become a form of entertainment so popular they're giving television and films a run for the money. And the most popular gaming universe of all is Omnitopia, created by genius programmer Dev Logan. For millions of people around the world, Omnitopia is an obsession, a passionate pastime, almost a way of life. Omnitopia is a virtual place where dreams come true-players can create their own universes within the game's structure, and participate in the profits if their piece of the universe is a hit. Ten million players routinely play in Omnitopia, and at any given time, nearly a million of them are on-line, living in a world more real to them then their own. Worldwide, Omnitopia is now as much a culture as a game. Participants can become involved in it in a hundred different ways. Some game as if their lives depended on it, spending thousands of hours, or thousands of dollars, or both, on quests in search of "game glory" among their fellow players. Some game only to acquire sufficient in-game "value" to become entitled to become subcreators themselves, able to build new levels and start raking in the so-called "one percent of infinity" which is the leveler's share of the profits. But there are also people who don't game at all, preferring to use the massive platform simply to explore its worlds, or to interact with other participants. Some people do nothing but design on-line weapons and other items for Omnitopia gamers, and sell them-or act as brokers, buying and selling game artifacts to order. Some subcreators do the same kind of design and creation, but for tailored Microcosms or slices of them: these are the "unreal estate" dealers. Some players speculate in game "gold" on the success or popularity of Microcosms, rather than actually playing in them. And of course there are thieves and swindlers, cheaters who live to find the loophole in the game that will outside it in the real world. Ascencion: (Fate of the Jedi Book Eight) by Christe Golden (Hardcover 8/16/2011 Del Rey). Eight and penultimate book in the latest series involving that pesky Skywalker clan. How long can the Jedi remain in power? How far will the Sith go to rule supreme? What chance do both stand against Abeloth? As Luke and Ben Skywalker pursue the formidable dark-side being Abeloth, the Lost Tribe of the Sith is about to be sundered by an even greater power—which will thrust one Dark Lord into mortal conflict with his own flesh-and-blood. On Coruscant, a political vacuum has left tensions at the boiling point, with factions racing to claim control of the Galactic Alliance. Suddenly surrounded by hidden agendas, treacherous conspiracies, and covert Sith agents, the Jedi Order must struggle to keep the GA government from collapsing into anarchy. The Jedi are committed to maintaining peace and ensuring just rule, but even they are not prepared to take on the combined threats of Sith power, a deposed dictator bent on galaxywide vengeance, and an entity of pure cunning and profound evil hungry to become a god. Dearly Departed by Lia Habel (Del Rey Hardcover 10/18/2011) – Debut novelist Lia Habel gives readers a cool-sounding mash up of future SF, steampunk, romance and the ever-popular zombies. A Soldier's Duty: (Book One of Theirs Not to Reason Why) by Jean Johnson (Ace Mass Market Paperback 09/26/2010) – Johnson is a popular and accomplished romance novelist who decided to try her hand at Military SF, the story sounds interesting enough. Water to Burn (Nola O’Grady Book 2) by Katherine Kerr (DAW Mass Market Paperback 08/02/2011) – The second book in the urban fantasy/paranormal romance series Kerr launched this past January. Two books in the same series in one year is a nice thing for fans of a series and Kerr knows how to draw in readers. Secret agent Nola O'Grady is back and ready to save San Francisco from all evildoers, alien and otherwise. With the aid of her bodyguard and lover Ari Nathan, Nola's new mission is to track down and apprehend the mysterious "Brother Belial," head of the now-dispersed Chaos cult-and a possible invader from another dimension. Mercenary partners Dhulyn Wolfshead and Parno Lionsmane think they're escorting the Princess of Arderon to her wedding with the new Tarkin of Menoin, but the Mercenary Brotherhood has a secret mission for them: find out what happened to the two Brothers who were sent on assignment to Menoin a year ago-and vanished. We’ve got three new reviews up at SFFWorld, one from Mark, one from Kathryn (aka Loerwyn aka Cheerwell in the forums) and one from me. BioShock: Rapture is everything it promises to be, and does so quite well. We start off in the years preceding the creation of Rapture, but after the devastating attacks of the US on Japan, and over three parts we watch Rapture go from an idea through to a decaying ruin. At the start of each chapter, the author notes the year, and sometimes month, in which those events happen, and it allows the reader to contextualise everything from the events of the surface world through to even the smallest cultural references, such as the mention of the rise of rock 'n' roll. We also see the city through the eyes of a number of characters and this gives us a very good view of what is happening to each of the major players of the series. All of these viewpoints are written in different styles relating to the character they follow. For example Bill, a working class plumber, has a 'Scouser' accent that comes through in his narration as well as his dialogue, whereas Andrew Ryan's chapters are generally more formal. As a tie-in novel, it's aimed squarely at those who've played through the two games currently released. A lot of the political maneuvering was handled fairly well, and I felt Campbell portrayed the conflict between military and government believably. Geary’s bouncing ideas of his subordinates was also done nicely. This back-and-forth took up a large portion of the novel, and in a sense, allowed me as a new reader to get a fuller sense of Admiral Geary’s situation and provided a fairly logical way for Campbell to lay out events in the previous six book series. I would have liked some more action in the early part of the novel and I suspect fans of the previous books might be slightly frustrated with some of the retreading of prior events. I came to this novel not having read the previous six book series, so the only knowledge I had of the book was anecdotal and some relatively positive reviews. On that count, I wasn’t too lost as a new reader, these characters obviously have a history, but not knowing that history didn’t detract from my ability to enjoy or fully grasp the situations in the novel. This is Cherie’s tenth novel, but, as far as I know, first foray into the urban fantasy culture. The plot, at least in brief outline here, sounds like pretty standard fare. Vampire-thief Raylene Pendle (AKA Cheshire Red) is quite happy making a living stealing valuable art and jewellery in Minneapolis. When she is asked by blind, debonair vampire Ian Stott to steal government secrets instead, she finds she has opened a major security breach involving something called Project Bloodshot in a secret government laboratory and stirred up a real hornet’s nest with documents that have an automatic trace on them that raises the interest of the military, the CIA and the Men in Black. Though initially the premise may sound familiar, this has some nice strengths. There’s actually a lot to like here. It’s got a cracking pace and snappy dialogue from the off. We quickly get to know Raylene/Cheshire, as this is a first-person narrative, and she’s clearly an intelligent, feisty and nicely ambiguously-moralled character, if a little neurotic. She’s also snarky and seriously nasty at times, as you might expect from a vampire more than a century old, but has another side to her character that also looks after two homeless kids in one of her abandoned warehouse gaffs. With A Dance with Dragons on the shelves just under a week, and having already claimed the best selling fiction book of the year, there is of course ample discussion on the book. What’s happening, what’s happened prior to the books, people forgetting about characters like Theon Greyjoy and Davos since A Storm of Swords published, as well as many other questions. So, here’s a round up of pre-publication blog posts and some current discussions that are probably quite interesting and helpful. The above links are a small sampling of the discussion going on for the most highly anticpated fantasy novel in the past six years. Firestorm (Destroyermen Book 6) by Taylor Anderson (Roc Hardcover 10/01/2010) – I’ve read and enjoyed the first trilogy (Into the Storm, Crusade, and Maelstrom) and recently read the fourth (Distant Thunders) which goes to show that Anderson is really steaming along in this series. Real Vampires Don't Wear Size Six (Real Vampires Book Seven) by Gerry Bartlett (Pyr, Trade Paperback 06/19/2011) – Seventh book in a series that (based on my impression of the cartoonish cover) combines paranormal romance, chick lit and humor. I think I’ll pass. After Glory St. Clair kicked out the demon that had set up shop in her body, she had a serious fallout with longtime lover Jeremy Blade. But before Glory can win him back, she has some issues of the hellish variety to deal with. When Lucifer himself offers Glory the ultimate temptation-work for the devil and he'll make her a size six-the curvy vampire's not sure if she can resist. But what Glory does know is that somehow, she's going to get back the man she loves and show everyone that real vampires always have more to love. Working Stiff (Revivalist #1) by Rachel Caine (Roc Mass Market Paperback 07/05/2011) – A new Paranormal/Urban fantasy series from the author of the Weather Warden series. What if death could be cured by a drug? What if you needed that drug every day ... or death would reclaim you? It’s not hypothetical to Bryn Davis. It’s her so-called life. The Magician King by Lev Grossman (Viking Hardcover 08/09/2011) – I LOVED The Magicians when it published two years ago and thought it one of the best books of 2009. Although it ended with a fair sense of closure, there was definitely room for more story in the world and with the characters Grossman created. Return to Fillory in the riveting sequel to The New York Times bestseller and literary phenomenon of 2009—The Magicians. Quentin and his friends are now the kings and queens of Fillory, but the days and nights of royal luxury are starting to pall. After a morning hunt takes a sinister turn, Quentin and his old friend Julia charter a magical sailing ship and set out on an errand to the wild outer reaches of their kingdom. Their pleasure cruise becomes an adventure when the two are unceremoniously dumped back into the last place Quentin ever wants to see: his parent's house in Chesterton, Massachusetts. And only the black, twisted magic that Julia learned on the streets can save them. Ghosts of War (The Ghost #2) by George Mann (Pyr , Trade Paperback 07/26/2010) – Second in Mann’s novels which combines superhero/steampunk, evoking The Spirit and reminds me of The Gray Ghost from the great Batman: Animated Series from the 90s. ...strange, skeletonlike creations with batlike wings that swoop out of the sky, attacking people and carrying them away into the night. The Ghost has been tracking these bizarre machines, and is close to finding their origin: a deranged military scientist who is slowly rebuilding himself as a machine. However, this scientist is not working alone, and his scheme involves more than a handful of abductions. He is part of a plot to escalate the cold war with Britain into a full-blown conflict, and he is building a weapon—a weapon that will fracture dimensional space and allow the monstrous creatures that live on the other side to spill through. He and his coconspirators—a cabal of senators and businessmen who seek to benefit from the war—intend to harness these creatures and use them as a means to crush the British. But the Ghost knows only too well how dangerous these creatures can be, and the threat they represent not just to Britain, but the world. The Ghost's efforts to put an end to the conspiracy bring him into an uneasy alliance with a male British spy, who is loose in Manhattan protecting the interests of his country. He also has the unlikely assistance of Ginny, a drunken ex-lover and sharpshooter, who walks back into his life, having disappeared six years earlier in mysterious circumstances. While suffering from increasingly lucid flashbacks to WWI, the Ghost is subjected to rooftop chases, a battle with a mechanized madman, and the constant threat of airborne predators, while the fate of the world hangs in the balance. 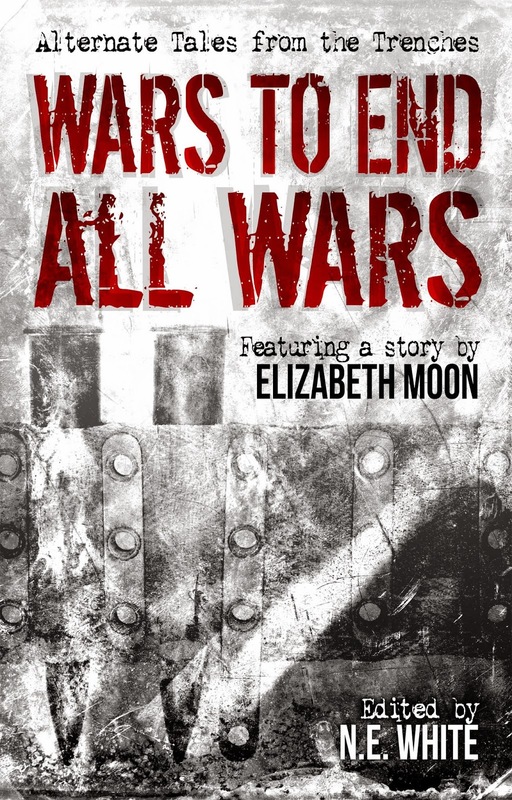 Can he derail the conspiracy and prevent the war with the British from escalating beyond control? 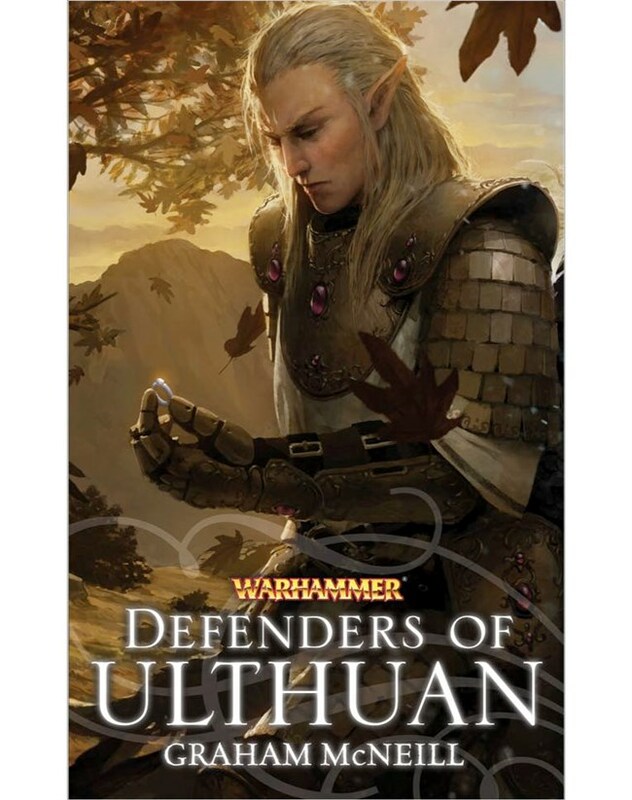 Defenders of Ulthuan by Graham McNeill (Black Library, Mass Market Paperback 09/02/2011) – One of McNeill’s early forays into the Warhammer Old Ages/Fantasy reprinted with flashy new cover art to coincide with the sequel. The high elves have long been the protectors of the Warhammer World, and their homeland of Ulthuan is known for the powerful magic that surrounds it. At the heart of Ulthuan lies a magical vortex, and the mages who created it remain trapped in a space out of time, endlessly working the spell that keeps the world from becoming a seething Realm of Chaos. When Ulthuan comes under attack from the forces of Chaos and dark elves led by the Witch King and the hag sorceress, Morathi, the high elves must hold firm or face disastrous consequences. In Defenders of Ulthuan Graham McNeill tells the epic tale of the struggle between good and evil. Ulthuan is a land at the verge of destruction. At Lothern, a fell army marches against the elven defenders of Prince Imrik and Prince Tyrion. In Averlorn, two brothers fight for forgiveness and their right to defend their people. 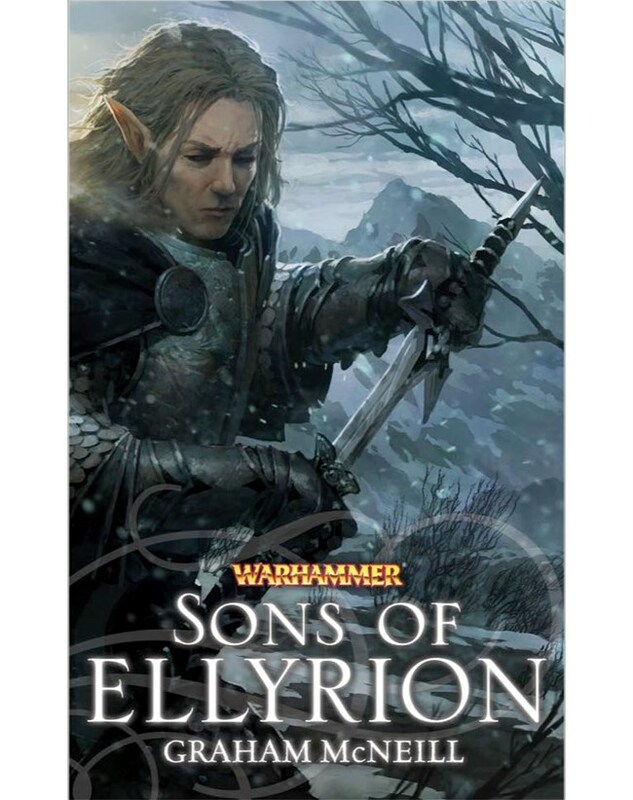 But at Tor Elyr, the conflict will be lost and won. The druchii army, led by Morathi and Issyk Kul, battles the gathered might of the high elves in a vast, destructive conflict. But Morathi has even grander plans than this – to destroy the vortex that holds Ulthuan together, plunging the island into a nightmare domain of Chaos. The noble elves must overcome their dark cousins, or else face the end of their race. The Cold Commands (A Land Fit for Heroes #2) by Richard K. Morgan (Del Rey Hardcover 10/11/2010) – This is one of the three or four most anticipated fantasy novels of 2011 for a lot of people. The first book, The Steel Remains, was reviewed by both myself and Hobbit a couple of years ago. 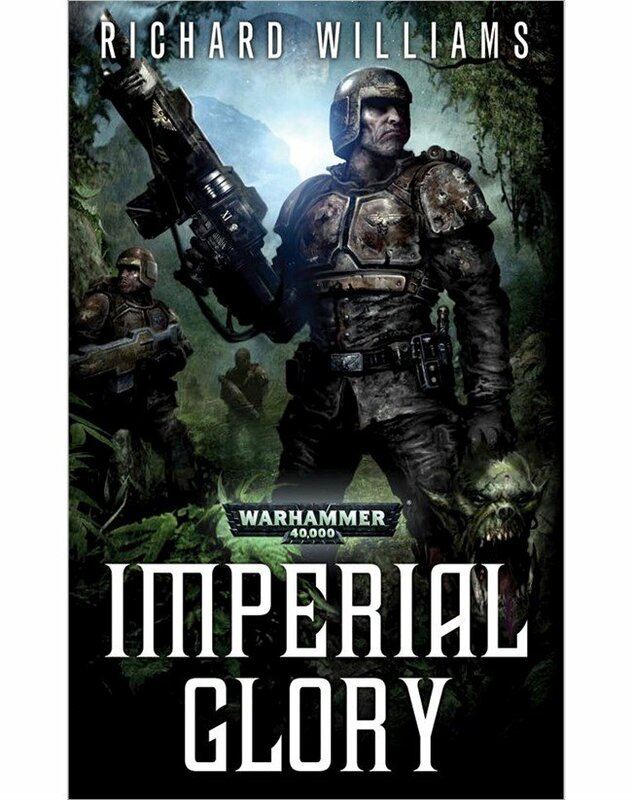 Imperial Glory by Richard Williams (Black Library, Mass Market Paperback 09/02/2011) – Space marines vs. space orks – sounds like a typical day in the Warhammer 40,000 universe. Tired and broken by war, the men of the Brimlock Eleventh Imperial Guard are a force on the verge of collapse. Having been stretched across the galaxy by their loyalty to the Emperor, they are presented with one final battle that will allow them reward they all seek: to colonise the distant world of Vorr and live out the rest of their days in peace. All that stands in their way is a force of savages – a plague of feral orks that has spread across the planet. But can the Brimlock’s battered bodies and minds hold up to this greenskin invasion? 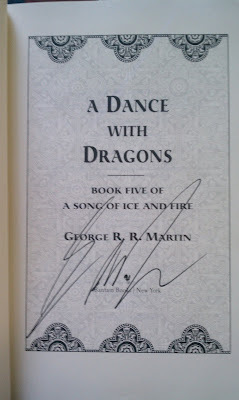 So, as every fan of the genre knows, A Dance with Dragons published on Tuesday. What not many people do know is that it has already become the best selling fiction book of 2011. 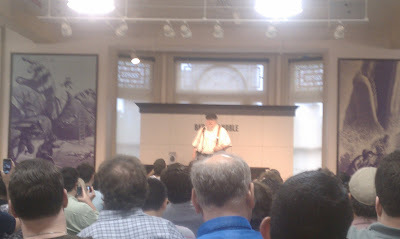 That's one of the the things George R. R. Martin told the assembled mass of about 1,000 fans at the book signing I attended with my brother-in-law and our friend last night at the Barnes & Noble Union Square in NYC. We arrived at about 2PM, so we were lucky enough to get seats though about 200-250 people were already seated by the time we arrived. Mr. Martin also informed the crowd, some of whom claimed to have been waiting since 8 AM, of the 13 Emmy nominations Game of Thrones received, including Best Drama, Best Supporting actor for Peter Dinklage, Best director, Best Writing, as well as the other awards. He went on to talk a bit about the delay and indicated he wouldn't be making any promises about deliveries of future novels or adding notes in the back of books telling readers to expect the next book "in about a year." He also said, along these lines, he wants to keep the series to seven and is doing everything he can to stick with 7 books. He won't promise, but thinks it is possible although he reminded us that the series was originally a trilogy. He spoke of the split between A Feast for Crows and A Dance with Dragons, how he thought he had a head start with 500 pages ready for Dance. As we all know, that wasn't quite the case as the final manuscript for Dance turned into 1500 pages with some of those original 500 pages scrapped. Mr. Martin reminisced about one early signing for A Game of Thrones where the four people in the store walked out after he was announced. He likes signings like last nights just a little bit more than that first signing. Some of the other things he touched upon he'd said in previous interviews and talks, like Tyrion being his favorite character, though he loves all of his literary children, especially when writing that specific character. With tongue planted firmly in cheek, Mr. Martin voiced the frustration of taking six years to write the book and "some of you finished the goddamned book in one day!" When asked what book he'd recently read that really blew him away he said Leviathan Wakes by James S.A. Corey. He of course recused himself by admitting that Daniel Abraham, one half of the author, is a friend. 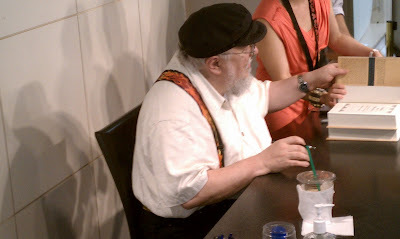 This was the first real author-specific book signing I attended and it was a bit different than I expected. The people around whom I was sitting, who indicated they were members of the Westeros forum, and I expected to see at least a few people decked out in costumes. What we did see on a lot of people were the shirts from the HBO shop. 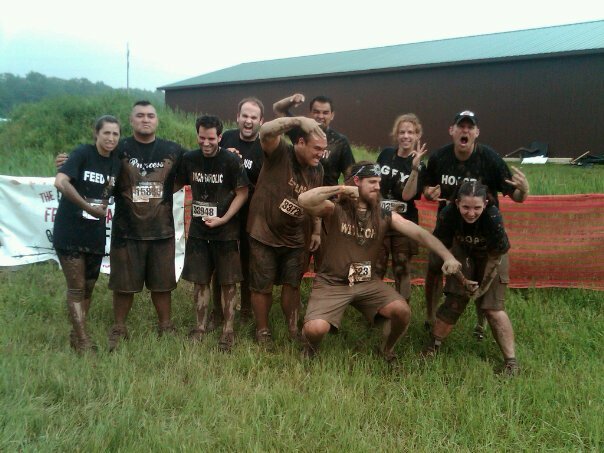 For my part, I wore the HODOR shirt I had made as part of the team theme my wife, brother-in-law and our friends wore about a month ago for WARRIOR DASH. Quite a few people commented on my HODOR shirt and even Mr. Martin gave me a HODOR of approval just before signing the glorious tome. All told, a great evening, despite the horrendous traffic on the NJ Turnpike Extension after exiting the Holland Tunnel. Just one review this week at SFFWorld from yours truly, but before that, I'd like to link to thread topic in the forums - Authors of the Roundtable: Jon Sprunk, Peter Orullian & Wayne Batson. Jon Sprunk recently released his second novel, Shadow's Lure; Peter Orullian (whom I previously interviewed) recently released his debut novel - The Unremembered; and Wayne Batson recently released his first novel targeted at an adult audience - Sword in the Stars. This is the first of a few planned author roundtable discussions at SFFWorld, all masterminded by KatG. 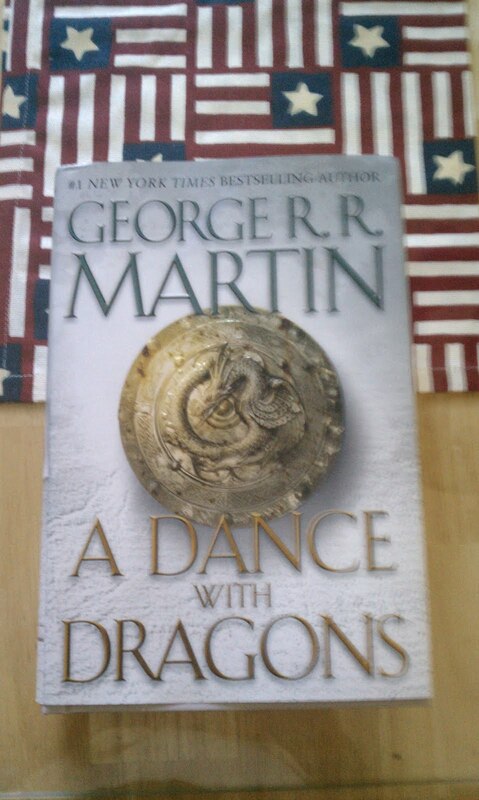 On to my review, which is of the fourth book of an ongoing series. The book under review serves as a break from the previous three books, as a sort of second stage of stories in Taylor Anderson's Destroyermen milieu. The fourth book is Distant Thunders and here's the standard blurb, which follows the cover shot. The morality of an ongoing war comes into play and Anderson does a good job of presenting both sides of the argument, for lack of a better word. The Grik are an unrelenting foe, and although it seems they’ve modified their tactics and held back rather than come immediately for another attack, the threat is ever looming. Reddy and the crew have to contend with the potential threat and how to permanently eliminate that thread while not compromising some of their moral codes with the potential introduction of chemical warfare. Furthermore, the spies he finds in his midst from the New Briton faction bring up the question of what to do with such people especially since Reddy’s people are essentially forming a new country and civilization. In short, Anderson’s overall narrative for the series is evolving in logical and believable ways. All that having been said, I did have some problems with the cohesiveness of the novel. It held my attention somewhat less than previous volumes as some of the exposition felt overwrought. Though Anderson closed out a trilogy and story-arc with the previous volume, he left the door open for more stories but Distant Thunders felt as if it was stretched from a half book into a full novel. Though I haven’t read the fifth book Rising Tides yet, I get the feeling that, based on the fourth book, two books could possibly be edited into one more tightly woven narrative. A couple from Pyr and most of the paperback releases from the Random House imprints. The Difference Engine by William Gibson and Bruce Sterling (Spectra, Trade Paperback 07/26/2011) – I read this years ago when it was on my reading list for my SF Literature course at Rutgers and I didn’t really connect with it at the time. Perhaps some time will allow me to give it another shot?. Seduce Me in Flames (Three Worlds Series #2) by Jacquelyn Frank (Ballantine, Mass Market Paperback 07/25/2011) – Second in a new series that seems to be a military science fiction interplanetary romance. ICY RECEPTION Ambrea Vas Allay is the rightful heir to the throne of Allay. But when she is summoned home from exile, she discovers that her father, who had executed her mother, has died. Her young half-brother, controlled by their uncle, has taken power. Ambrea is torn by an impossible choice: renounce the crown or waste away in prison. The last thing she expects is to be liberated by a huge, tattooed Tarian—or to feel a searing passion for her mysterious rescuer. SMOLDERING DECEPTION Rush “Ender” Blakely loves being part of the elite force of the Interplanetary Militia and the mission to save the princess Allay. But the tough Tarian hides a fiery secret—a blazing power that makes him literally too hot to handle. He must be crazy to carry a torch for this strong, beautiful princess—when any intimacy between them is bound to be explosive. BLAZING INSURRECTION As Ambrea steels herself to take back the throne, does she dare entrust this scorching stranger with the fate of an empire—and, even more so, with her heart? Would you stay in a haunted house for more than one night? Would you live in a place where ghostly things keep happening? Where a cellar door you know you locked the night before is always open the following morning? Where hushed whimpering is heard? Where white shadows steal through the darkness? Where the presence of evil is all around you? The Caleighs did, but they had their reasons. They should have known better though. As the terror mounts, they begin to regret their decision. As the horror rises, they realize their very lives are at risk....and so is their sanity. For the secret of Crickley Hall is beyond all nightmares. Sword of Fire and Sea (The Chaos Knight Book One) by Erin Hoffman (Pyr, Trade Paperback 06/19/2011) – This is Hoffman’s debut novel, the first of a series, but she’s designed quite a few video games and authored a fair number of short stories..
Conan the Barbarian by Robert E. Howard (Del Rey Mass Market Paperback 07/26/2011) – Although Del Rey has reissued all the conan stories in nice trade paperbacks, they’ve taken a handful o the more famous by Howard and put them in this nifty mass market paperback just in time for the new film. Conan the Barbarian is one of the greatest fictional heroes ever created—a swordsman who cuts a swath across the lands of the Hyborian Age, annihilating powerful sorcerers, deadly creatures, and whole armies of ruthless foes. Today his name is synonymous with the epic battles of ancient times, but Conan originated in the early decades of the twentieth century with one of the founding fathers of fantasy, the visionary Robert E. Howard. The unforgettable stories collected here form a thrilling adventure, following Conan from his mercenary youth to his bloody conquests on the frontier and even the high seas. Bold and enduring, the legend of Conan the Barbarian continues to grow in popularity and influence. The Falling Machine (Society of Steam #1) by Andrew P. Mayer (Pyr Trade Paperback 07/11/2011) –First novel in what is being called a Steam Punk JLA, which is also Mayer’s debut novel. This is a great looking book that has the added benefit with a premise that sounds just as cool. The Falling Machine (The Society of Steam, Book One) takes place in a Victorian New York powered by the discovery of Fortified Steam, a substance that allows ordinary men to wield extraordinary abilities and grants powers that can corrupt gentlemen of great moral strength. The secret behind this amazing substance is something that wicked brutes will gladly kill for and one that Sarah must try and protect, no matter what the cost. Supergods: What Masked Vigilantes, Miraculous Mutants, and a Sun God from Smallville Can Teach Us About Being Human by Grant Morrison (Spiegal & Grau, Hardcover 07/19/2011) – Morrison is perhaps the most important and controversial comic book writer today, he’s revamped and injected different life into nearly every property. In everything he writes, what is consistent is his love for comic books shines through and I suppose that will be the case with this overview of the medium. The first superhero comic ever published, Action Comics no. 1 in 1938, introduced the world to something both unprecedented and timeless: Superman, a caped god for the modern age. In a matter of years, the skies of the imaginary world were filled with strange mutants, aliens, and vigilantes: Batman, Wonder Woman, the Fantastic Four, Iron Man, and the X-Men—the list of names as familiar as our own. In less than a century, they’ve gone from not existing at all to being everywhere we look: on our movie and television screens, in our videogames and dreams. But what are they trying to tell us? For Grant Morrison, arguably the greatest of contemporary chroniclers of the “superworld,” these heroes are powerful archetypes whose ongoing, decades-spanning story arcs reflect and predict the course of human existence: Through them we tell the story of ourselves, our troubled history, and our starry aspirations. In this exhilarating work of a lifetime, Morrison draws on art, science, mythology, and his own astonishing journeys through this shadow universe to provide the first true history of the superhero—why they matter, why they will always be with us, and what they tell us about who we are . . . and what we may yet become. The Black Lung Captain (Tales of the Ketty Jay #2) by Chris Wooding (Spectra Trade Paperback 07/26/2011) – I absolutely loved Retribution Falls, the first book in this sequence, and Hobbit/Mark said the second one was even better. I’m considering this one a must read. Chris Wooding, author of the thrilling novel Retribution Falls, returns to a fantastical world of spectacular sky battles and high-flying heroics for another epic adventure. Deep in the heart of the Kurg rainforest lies a long-forgotten wreck. On board, behind a magically protected door, an elusive treasure awaits. Good thing Darian Frey, captain of the airship Ketty Jay, has the daemonist Crake on board. Crake is their best chance of getting that door open—if they can sober him up. For a prize this enticing, Frey is willing to brave the legendary monsters of the forbidding island and to ally himself with a partner who’s even less trustworthy than he is. But what’s behind that door is not what any of the fortune hunters expect, any more than they anticipate their fiercest competitor for the treasure—a woman from Frey’s past who also happens to be the most feared pirate in the skies.